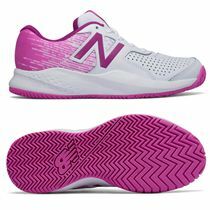 The Head Nitro Team are comfy and stable ladies’ tennis shoes designed specifically for women’s feet and made for wearing on all court surfaces. They allow feet to breathe as you play and practise and have a seamless upper so the fit is snugger. The lower midsole encourages flexibility and better rebounds so you can cover ground over the court more effectively with additional stability in the heel and on lateral movements thanks to the TPU 180° Heelstab and the lateral rubber outrigger. 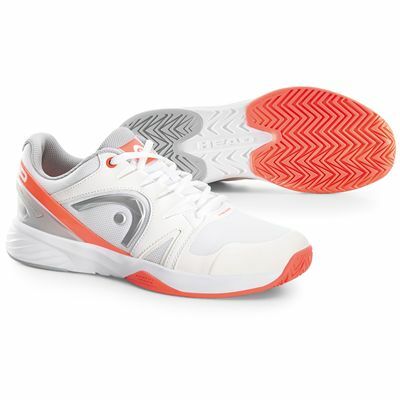 There’s a top cap to shield your forefoot and the non-marking outsole delivers great traction on all surfaces, especially hardcourts and clay. Excellent quality - just as advertised. for submitting product review about Head Nitro Team Ladies Tennis Shoes SS16.